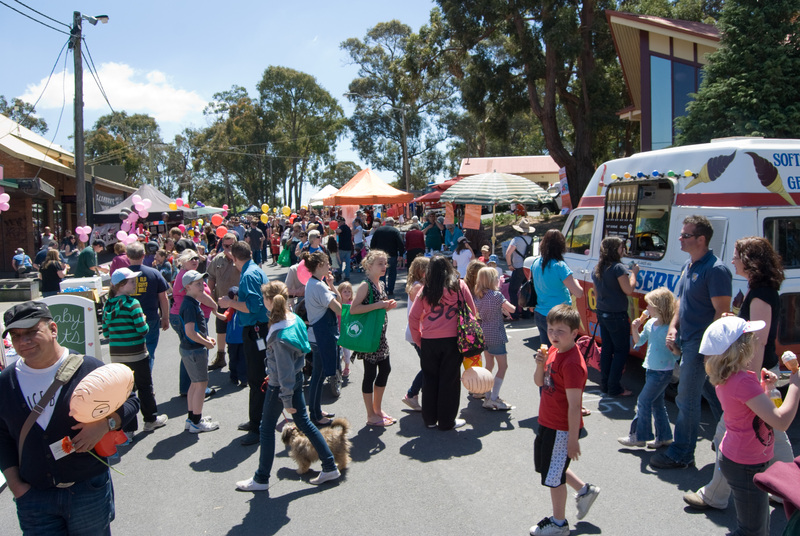 You will always find a great range of stalls at the Mt Evelyn Street Party from local businesses, hand-crafted wares, local produce, information and fundraisers from local community groups, emergency services and of course food and drinks. We support local traders and community groups and in 2017 we will source quality food stalls to increase the diversity of food on offer. We are very excited ….. all stalls are fully booked ! We have a wonderful range this year …… from rockabilly clothing and accessories, vintage inspired, local schools and kinders, health, garden care and garden accessories, sporting clubs, community groups, artists, kitchen ware and Kitchen Aid, scrap booking and card making, hand crafted crystal jewellery, support groups, soaps, candles, quilts and many, many more! It is a great chance to support the many home-based businesses, local businesses all ready to help you with your Christmas shopping or adding new things to your home! The deadline has passed for 2017 and the Street Party is fully booked. If you would like ot go on the waiting list in case of cancellations and into our database to be invited in future, please go ahead and fill in the form below – just don’t process any payments. Thank you. To apply for a stall please complete the form below. You will find detailed information about holding a stall within the form along with instructions on how to submit your support material. If you have any questions please contact our stalls team below. You’re on it Lorraine! 😀 The page these messages are appearing on is https://mtevelynstreetparty.com/stalls/ and that’s exactly where we’ve just posted the application form.